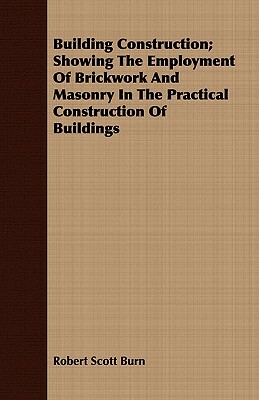 Building Construction; Showing The Employment Of Brickwork And Masonry In The Practical Construction Of Buildings. Many of the earliest books, particularly those dating back to the 1900s and before, are now extremely scarce and increasingly expensive. We are republishing these classic works in affordable, high quality, modern editions, using the original text and artwork.